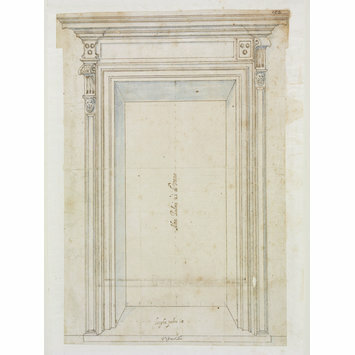 Drawing, design for a doorcase with a straight entablature supported on crolled consoles, Italian, late 16th century. 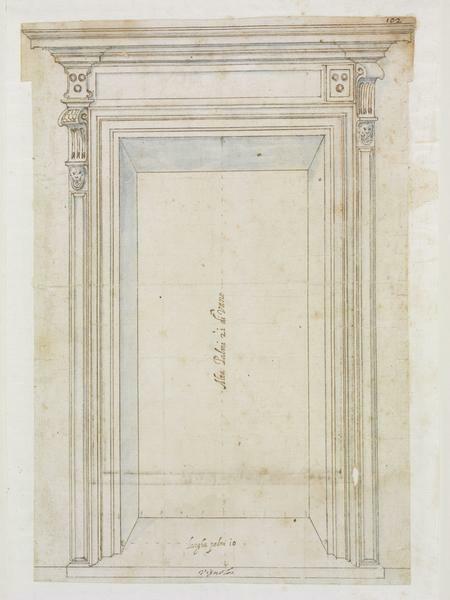 Ward-Jackson, Peter, Italian Drawings Volume I. 14th-16th century, London, 1979, p. 246. Possibly, as the blue wash suggests, by the same hand as nos. 492 and 493. 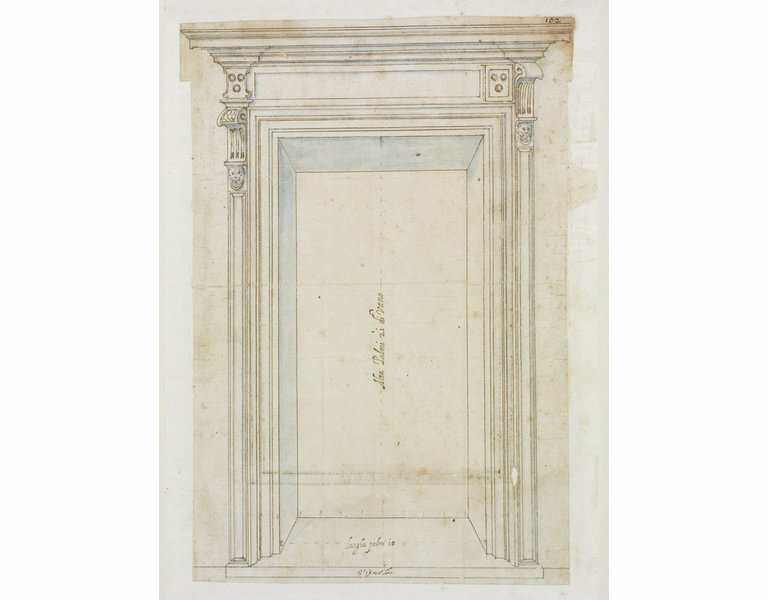 There seems to be no connection with Vignola or with the Villa di Papa Giulia.